Tuesday, November 13, 2018 - The 11th Annual Joint Orthodox Prayer Service for the United Nations Community, was celebrated at St. Vartan Armenian Orthodox Cathedral in New York City. 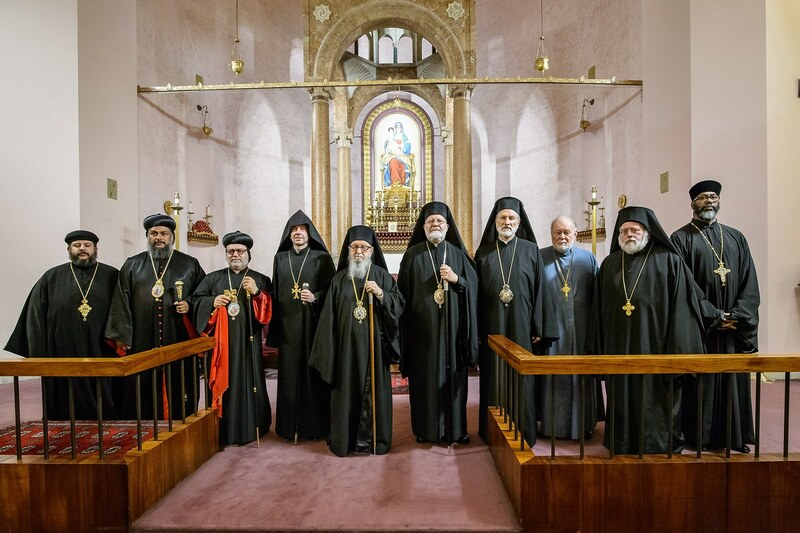 The Syriac Orthodox Church of Antioch hosted the gathering, which was organized by the Joint Commission of Oriental and Eastern Orthodox Churches, made up of the Standing Conference of Oriental Orthodox Churches and the Assembly of Canonical Orthodox Bishops in America. His Eminence Archbishop Dionysios of the Eastern United States led the service. The special evening began with a majestic procession of the Orthodox clergy. Diocesan Primate the Very Rev. Fr. Daniel Findikyan warmly welcomed the guests with prayers for “peace and justice in a trying world,” and voiced a special tribute in honor of the 50th anniversary of St. Vartan Cathedral. The guests of honor in attendance included Master of Ceremonies Jack Darakjy, president of the Archdiocesan Executive Council of the Syriac Orthodox Church of Antioch; and Kwabena Osei Danguah, chief of staff to the UN General Assembly President Maria Fernanda Espinosa Garces. His Royal Highness Prince Dushan of Serbia attended as the guest of Bishop Irinej of the Serbian Orthodox Church. “Today, we remember the suffering and displacement of hundreds of thousands in the region, many of whom are Christians, as well as the destruction of numerous religious and cultural heritage sites,” he said. Armenia has “continually expressed deep concern regarding threats against minority communities in the Middle East, which continue to suffer on unimaginable levels,” he said, adding that his country has hosted a series of conferences on the prevention of hate crimes, and the advancement of religious freedom for all. The Armenian UN Ambassador revealed that Armenia has taken in more than 22,000 Syrian refugees, making it per capita the third largest recipient of refugees in Europe. The integration of Syrian and Iraqi refugees into Armenian society has been a priority of the Armenian government which has worked closely with diaspora organizations to provide financial and social support for Middle East refugees. Ambassador Margaryan closed his remarks by pointing out that as a nation which has historically been persecuted on the basis of faith and ethnicity, “we remain committed to the agenda of genocide prevention, exemplified by a resolution initiated by Armenia and adopted by the UN General Assembly in 2015. 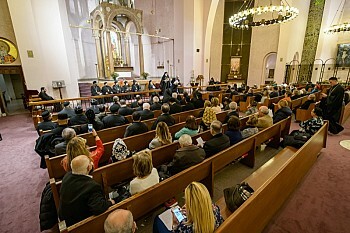 During the hour-long service the choir of St. Mark’s Syriac Orthodox Cathedral performed soul-stirring hymns, after which a reception for all was held in Haik and Alice Kavookjian Auditorium. Diocesan Vicar General the Very Rev. Fr. Simeon Odabashian, “it was truly a blessing to have hierarchs, clergy, and faithful from the various Eastern Orthodox and Oriental Orthodox Christian traditions gather in our cathedral and offer prayers for the work of the United Nations, and demonstrate brotherly solidarity,” he said. “I pray that in the future, we will be blessed with other opportunities to express our Christian unity,” he said. At the end of the gathering, His Eminence Geron Archbishop Demetrios of America, Chairman of the Assembly of Canonical Orthodox Bishops in America, voiced his appreciation for the gathering to the hosts and all who had gathered in Orthodox Christian solidarity at the beginning of the convocation of the United Nations.